Rugs can often be the unsung fabric heroes of a household. An area rug can change the entire look of a room while keeping precious bare feet comfortable and warm. However, these important pieces can get quite dirty and drab. If a rug is not cleaned often enough and properly cared for, the colors can become faded and the carpet or rug can be permanently damaged. While vacuuming is a good way to clean up surface dirt and grime, there's often much more lurking deep in the fabric of your home's rug. If you find yourself wondering, "Do dry cleaners clean rugs? ", "Can you even dry clean a rug? ", or "Is there rug cleaning near me? ", you're in luck! EcoClean makes keeping your rug clean and tidy easy! Are you worried about dry cleaning rug costs? Or trying to find oriental rug cleaning "near me"? We've got your covered at EcoClean! 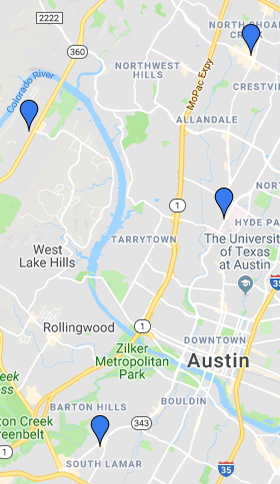 We offer free pick-up and delivery in Austin so you never have to worry about paying extra for convenience. Our innovative rug dry cleaning technology is also the perfect way to get rid of pet dander, dirt, and other allergens that creep below the surface of your gorgeous area or silk rug. You can also count on your home smelling fresh, not noxious after your rug is cleaned at EcoClean because we use safe but effective detergents that never leave a chemical smell on fabrics. A nice clean rug can brighten up any room. You can trust EcoClean to clean your rug and freshen up your home!